A rather neglected aspect of the 1948 Universal Declaration of Human Rights is Article 17, “Everyone has the right to own property alone as well as in association with others: No one shall be arbitrarily deprived of his property.” This is a right that the state of Israel has denied to Palestinians in the occupied West Bank since 1967. I’m interested in this problem because I am working on causes of the high rate of malnutrition among Palestinians, as part of my larger research project on the right to food (other case studies are North Korea, Zimbabwe and Venezuela). According to figures from the Food and Agriculture Organization, the percentage of people in the Occupied Palestinian Territories who were undernourished increased from 18 in 1990 to 31 in 2010; the percentage of people who suffered from food inadequacy (a measurement of food deficiency for normal physical activity) increased from 26.6 in 1990 to 42.4 in 2010. One reason for this malnutrition is that Israeli authorities and Jewish settlers have taken over Palestinian farmlands in the West Bank. Israeli and other Jews settle in the West Bank because of their beliefs in political Zionism, because they believe that the West Bank is actually Jewish holy land, or simply because housing is cheaper in the West Bank than in Israel proper. By 2011 it was estimated that 325,000 Jewish settlers lived in the West Bank. The Israeli government actively encourages these settlements, although it sometimes tears down ones that it considers illegal. For example, it offers tax exemptions, grants and loans to settlers. These arbitrary settlements and expropriations mean that West Bank Palestinians enjoy no property rights. Without property rights, their farms, grazing lands, citrus and olive groves are routinely expropriated without any compensation. Subsistence cultivation is thus undermined. Land seizures also affect Palestinians who cultivate food for commercial purposes, exporting it and using the earnings to feed their families. 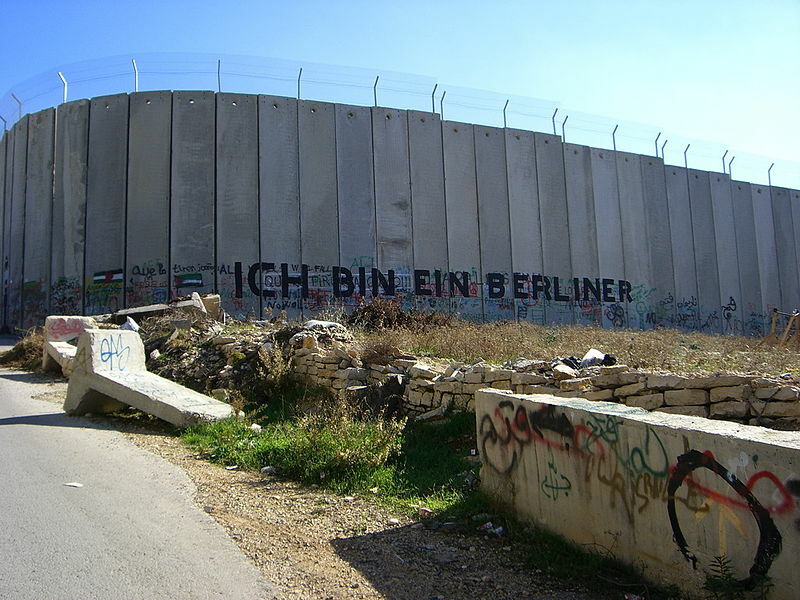 Since 2000 things have become worse, as Israel has built a wall to separate Israel—and illegally settled Jewish territory—from Palestinians. In 2004 the International Court of Justice declared it illegal for Israel to build this wall on Palestinian territory, but Israel paid no attention. The wall meanders through Palestinian territory, often cutting off Palestinians from their own farms. There’s also a “seam zone” between the legal borders of Israel and the wall, and Palestinians living in that zone are cut off from their land. Segregated Jewish-only settlement areas, and highways on which Jewish residents of the West Bank can travel but Palestinian residents can't, also take over land and cut off Palestinians from their farms. Yet expropriation of private property by an occupying power is illegal except for military needs. The 1907 Hague Convention, Article 46, states “Private property cannot be confiscated.” Although the Israelis claim otherwise, The Hague conventions are part of international customary law, meaning that they are binding on all states. Nor is the Israeli argument that settlements improve Israel’s security, and are therefore legal, acceptable under international law, although many settlements are built on hilltops and thus serve the function of surveillance over Palestinian lands below. The 1949 Geneva Convention further outlaws destruction of property in the occupied area. Settlements and any purchase of land by settlers are illegal, even if the settlers purchase land from an individual who was ostensibly willing to sell. Moreover, the Fourth Geneva Convention prohibits transfers of part of the occupiers’ civilian population into the territory it occupies. The Rome Statute of the International Criminal Court describes “extensive destruction and appropriation of property, not justified by military necessity and carried out unlawfully and wantonly” as a war crime. It also states that “the transfer, directly or indirectly, by the Occupying Power of parts of its own civilian population into the territory it occupies” is a war crime. Israel, though, is not a party to the Rome Statute. Some people think it is anti-Semitic to criticize Israel’s policies in the Occupied Territories. It isn’t. Israel is a state: like any other state, it must obey international law. Many Jews, both in Israel and elsewhere, are opposed to Israel’s occupation of the West Bank and its brutal treatment of Palestinians. For more on the right to own property, see my forthcoming “Reconsidering the Right to Own Property,” in Journal of Human Rights, vol. 12, no. 2 or 3, 2013. Or email me at hassmann@wlu.ca for a copy. In this article my examples are Zimbabwe and Venezuela, not Palestine.